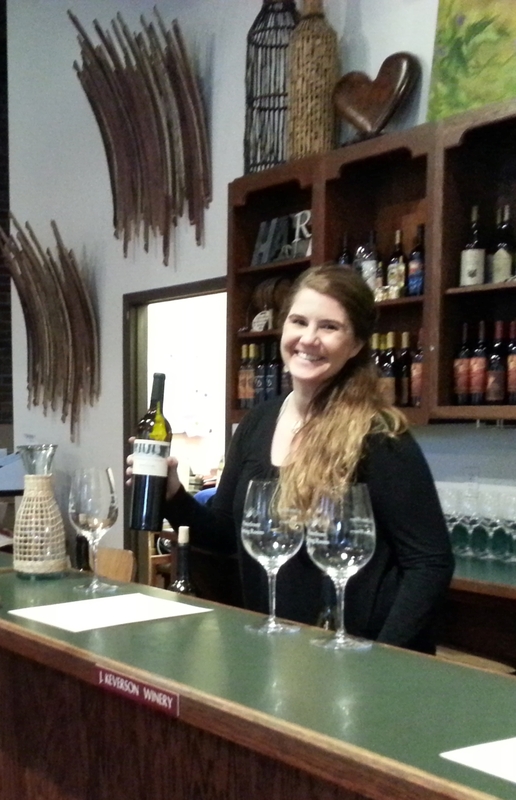 Jessica Snowden is your “every mother” of Santa Rosa. Tucked in a quiet neighborhood with her husband, two teenagers and a couple of cats, there is only a hint of what lies inside her home from the exterior – that hint being a hand painted sign announcing that no normal family lives inside. 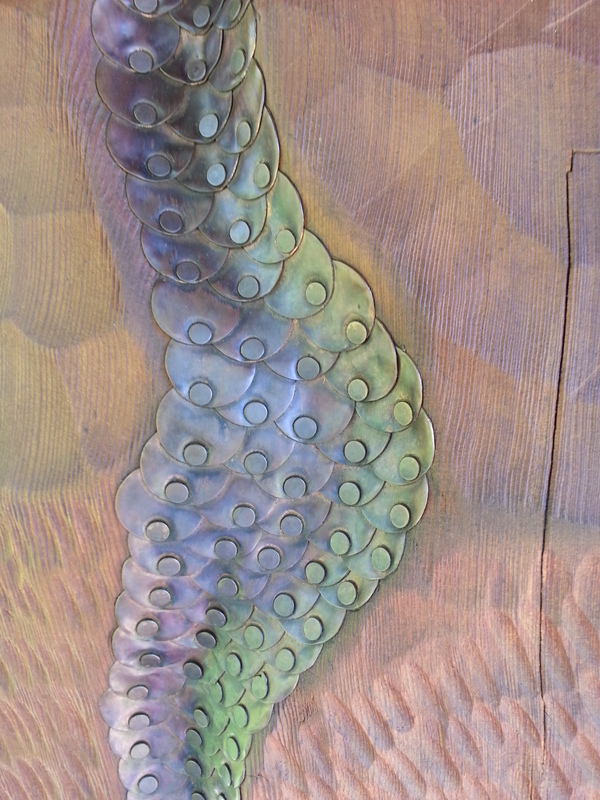 Step through the front door and you are greeted by the studio where Jessica creates her current offerings. Jessica has always loved to draw, paint and craft. Growing up with an artist as a mother, she is no stranger to trying something new. But like so many artists (or people in general), Jessica did not make a straight line to successful painter. In high school she aspired to be a fashion designer but enrolled at SRJC with a Business Marketing major. Married and beginning a family, she and her husband moved to Lakeport for a few years and life was all consuming. But a move back to Santa Rosa and a gift of water pencils from her mother made a major shift in direction. Jessica began experimenting and creating. She developed a line of gift products that highlighted butterflies, animals and flowers on pill cases, boxes, small canvases and jewelry. These treasures were sold at local boutiques for about 3 years until Jessica started focusing on her paintings. SoCo Coffee on 4th Street was Jessica’s first solo show. Comfortable with the space and known to the owners since her book club met over coffee regularly, Jessica asked if she could display her paintings of sunsets, sunrises and stars. Last June the show was a complete success. Two paintings were sold and a new enterprise was launched. Jessica downplays her marketing abilities but it is clear that those years at SRJC were not lost in her art career progression. Jessica is now preparing Looking to the Skies, a series of 150 paintings to be presented at the Finley Community Center from March 31 to May 21, 2015. 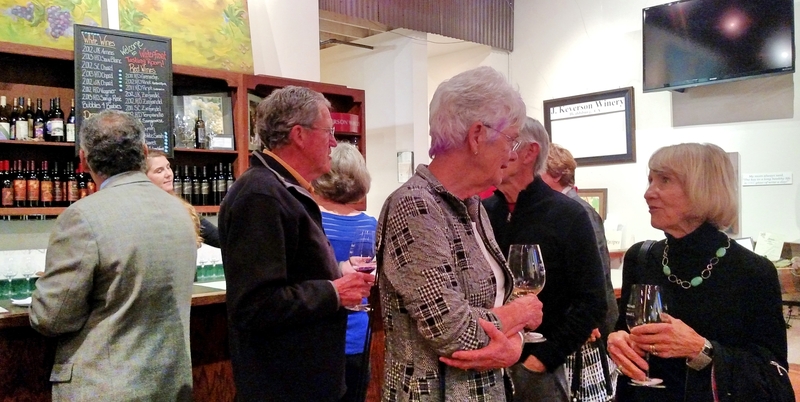 The Reception is Friday, April 3 from 5 to 7 pm. The paintings are vibrantly colored and often in silhouette. The messages (to me at least!) are calmness, life and whimsy. If you wonder where else you may have seen Jessica’s name, Jessica has been a longtime art instructor volunteer in Santa Rosa schools. She teaches at the Community Center. This spring her classes are Intro to Treasure Hunting – an experience in geocaching and Made to Wear – jewelry class for 7-13 year olds. Google “geocaching” and learn about this family oriented, outdoor activity. Jessica also works at the Sonoma County Library in the adult literacy program. Oh, and did I mention that Jessica is mom to two teenagers? Jessica believes that her art keeps her grounded and focused. The word “progression” comes up in her conversation regularly. Life’s lessons are reflected in the creation of art. There are no mistakes. Your creations are not like anyone else’s. Accept that things start one way and something else comes out. Patience yields the best results. Plan to visit Looking to the Skies. 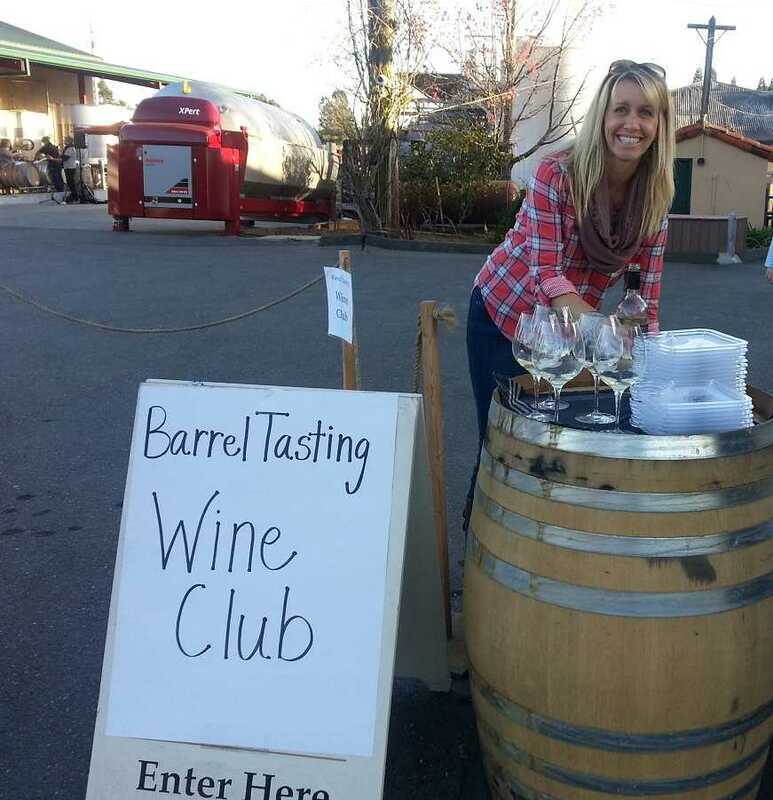 Barrel tasting is a tradition in many wine areas and a great deal of fun in the Russian River area. 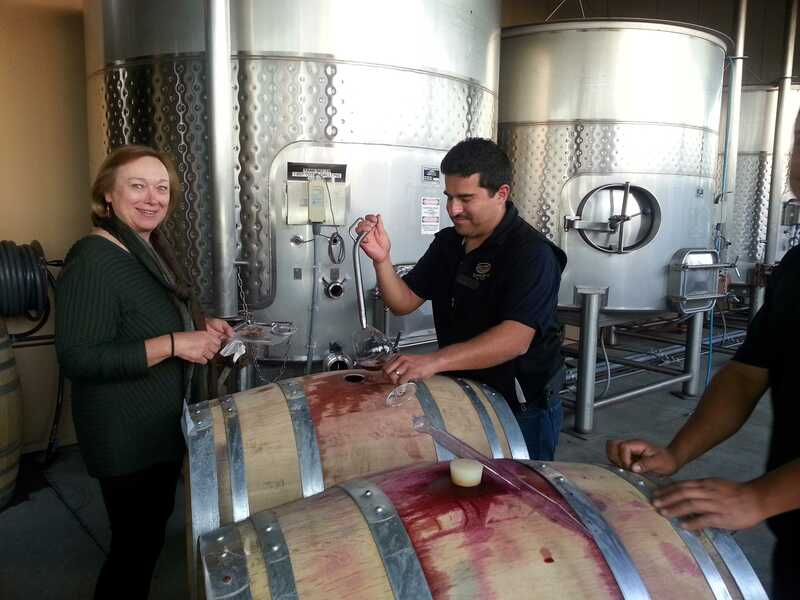 No – you do not taste the barrel but you taste the wine that is still in the barrel! This is a great time to try new vintages before they are bottled and you can get them at reduced prices which are referred to as “futures”. 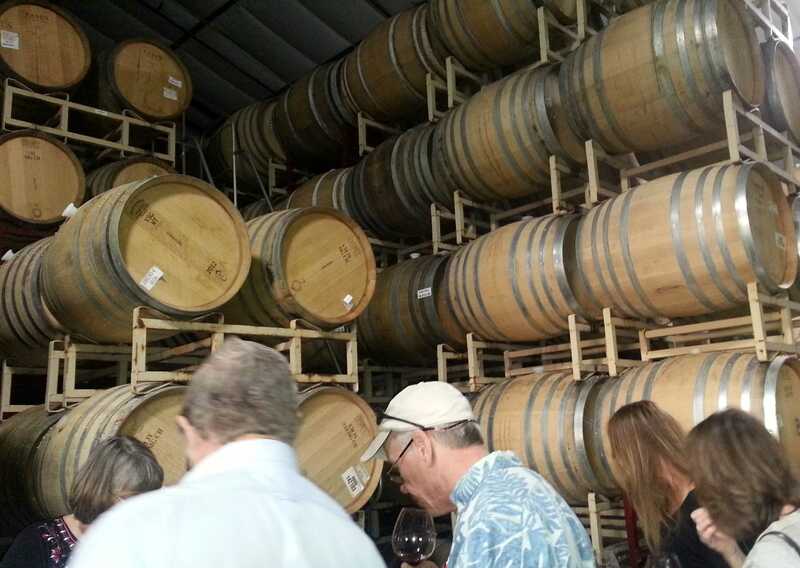 This year I passed on the daytime tasting to go to a private barrel tasting at Dutton Estates which is at the corner of Hwy 116 and Green Valley Road – between Sebastopol and Forestville. This was for wine club members only and is much less crowded. Plus we were able to taste from the barrel and do a vertical tasting of the last couple of years. Yes, each vintage is different but to experience the maturation of a wine with time in the bottle is always fun. 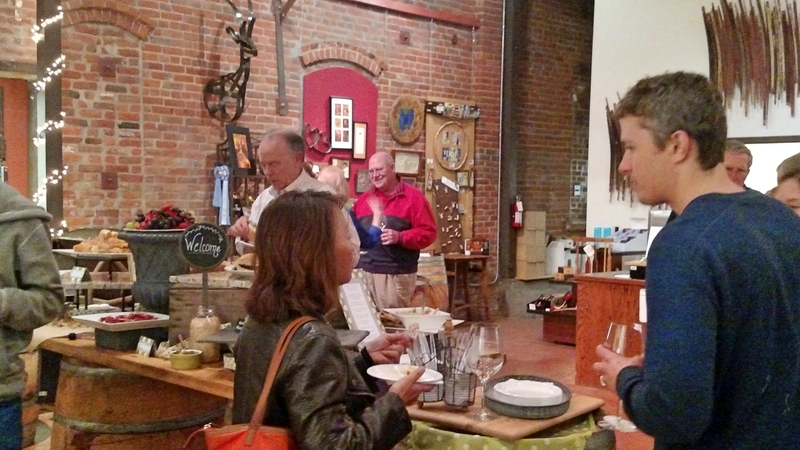 Last night was my Client Appreication Party for all my wonderful clients – held at the J. Keverson Tasting Room in Healdsburg. This was the first time that I hosted an event outside of my home and it was a great time – wine, food, a great duo for entertainment and wonderful conversation. to see everyone and we had a wonderful time. I really enjoyed watching clients meet and converse with each other – and there seemed to be a lively discourse on everything from the real estate market to who should win the Oscars. 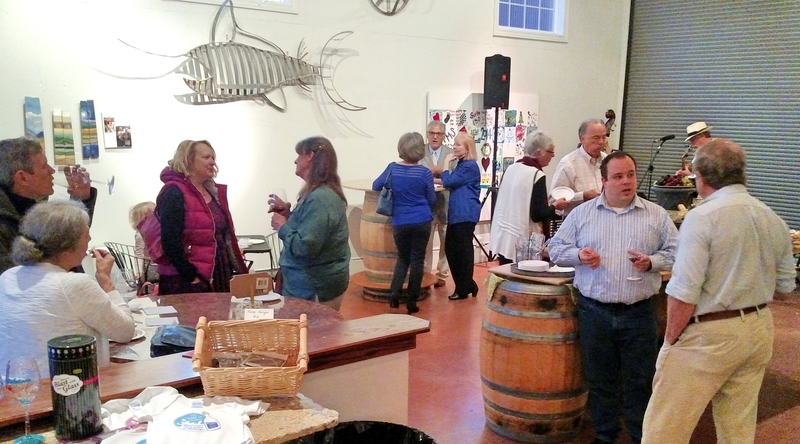 The J. Keverson Tasting Room is a wonderful venue for any event. Spacious and wine country chic, the room has art and furniture constructed from barrel stays. The decor is fun and the hostess, Jackie Tompkins, is the daughter of a colleague from my life as an engineering manager, Kevin Tompkins. The “Kev” in Keverson is from Kevin. The “J.” represents John Hazlewood. John is the winemaker and was the Realtor who represented me when I first moved to Sonoma County. John owned Fountaingrove Realty and Mortgage for many years. Jackie is pouring Starkey’s Court Zinfandel named in honor of Tim Starkey who was the guy who got me to relocate to Sonoma County. 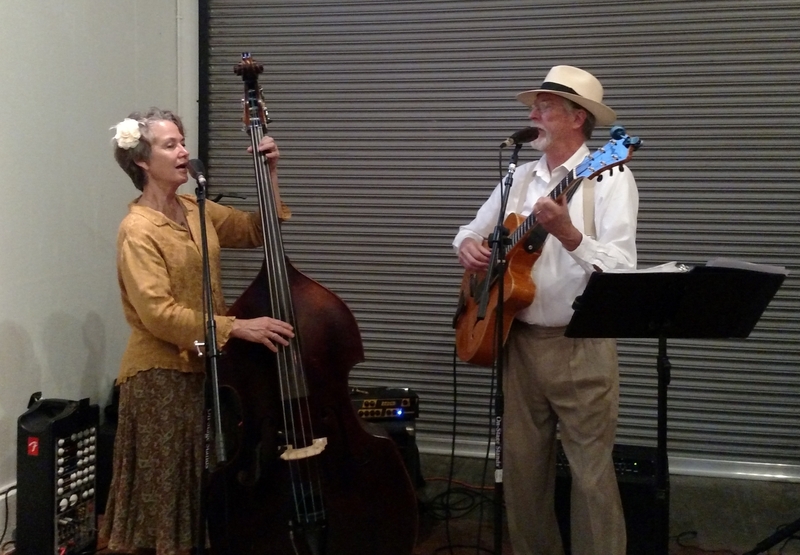 Our entertainment was CiCi Wilcoxon and Jesse Boggs of Honey B and the Pollinators. 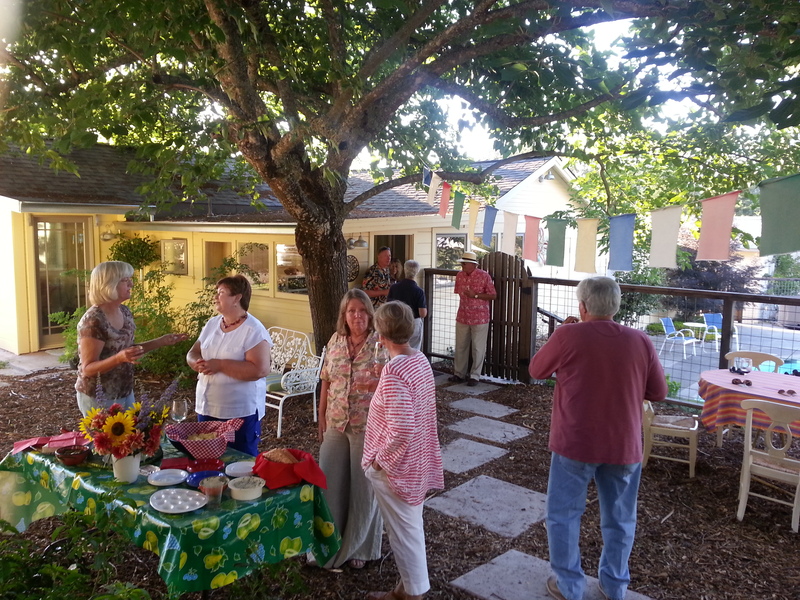 I first heard the group sing at The French Garden in Sebastopol. I knew CiCi as a Realtor when my office was in Sebastopol but did not know that she has a smooth, catchy voice and plays the bass. They were perfect for this event. Everyone loves their song selections – check it out on their website honeybjazz.com. CiCi now owns West County Property Management and was helpful in getting my son and business partner the rental across the street from my home. My thanks has to go out to Mike Lamka of Stearns Lending who helped with the event and provided some gracious hosting as I was busy hugging and loving my friends. Next year I will attempt to be closer to home but this venue is going to be hard to beat. And, yes, I am back to writing on this blog. It has been over six months that I have been on hiatus and it is time to change. But I need to find my camera if I am going to get back to my pictures! 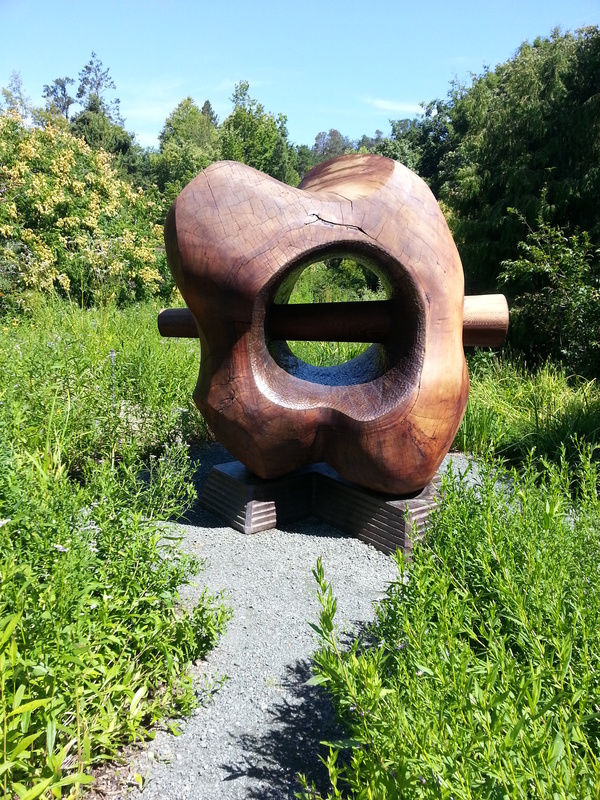 Quarryhill Botanical Garden is a Sonoma County treasure. The garden is about 25 years old and has the mission of conservation, study and cultivation of the flora of Asia. 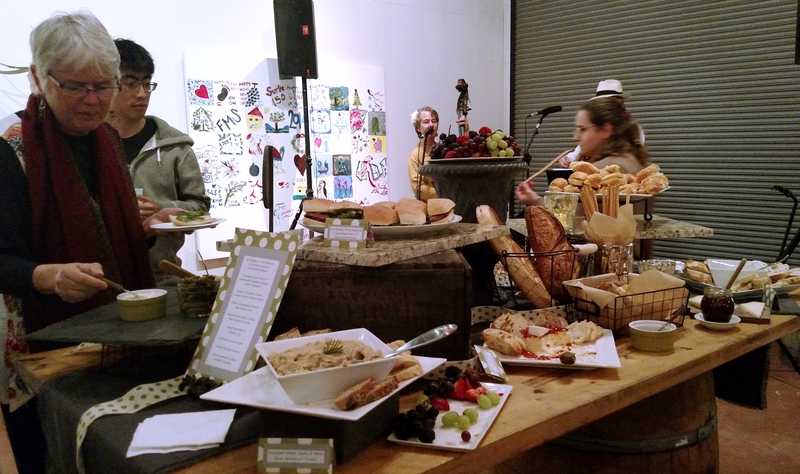 I have written about this place before but I got to go to a special event this weekend. 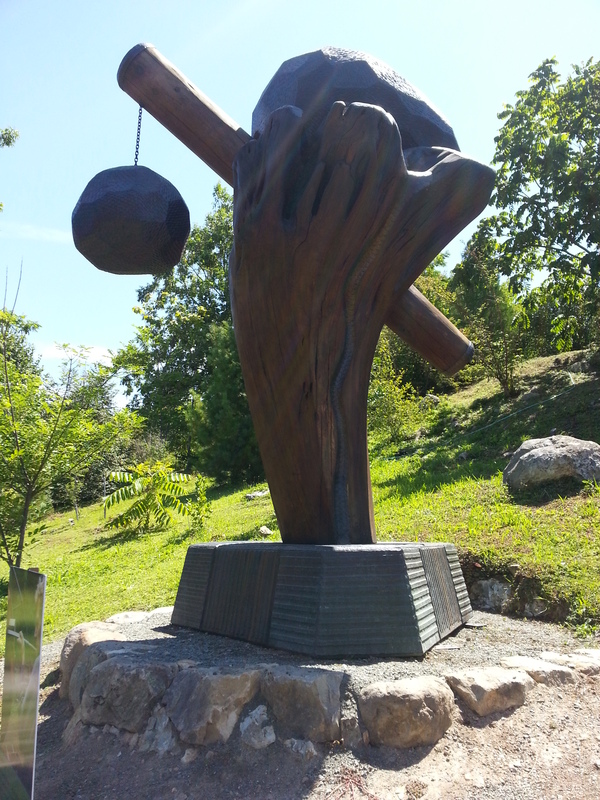 As a member of “the press”, I was invited to a luncheon to meet Bruce Johnson, sculptor, who has placed six of his current works throughout the garden. These works are planned to be the first of a series of installations each lasting a year. I could write about the works and how they are placed exquisitely in the landscape but pictures are so much easier! The day was lovely. There were two carts of press, Quarryhill Botanical Garden employees and Bruce Johnson. The garden was beautiful with the natural wildness of a perfectly planned composition. 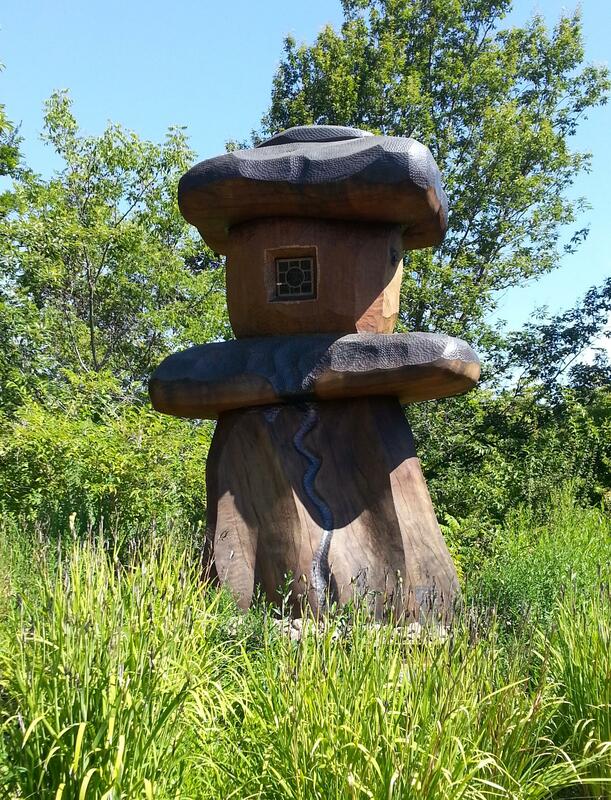 The sculptures are spotted within about a 7 acre area of the 25 acre property. Bruce described the path he took to yield the works. He calls his business Form and Energy and it is an appropriate description of these pieces. So you are wondering how I am a member of the press? I have written for the Gazette from its infancy and now it is well over 15 years. It has been suggested in the past that I use my writing to get a visa to Cuba. I thought that no one would accept me as a reporter and laughed it off. I must say that this opportunity to lunch with the artist of these magnificent objects and take in the beauty of a renowned garden has made me feel differently. I am a bit sorry that I didn’t get a badge that said “PRESS”! Remember those garden parties that were featured in Bon Appetit (I think I may be aging myself with this memory!) with the relaxed hosts, lively guests and gorgeous tables of food, flowers and tableware. 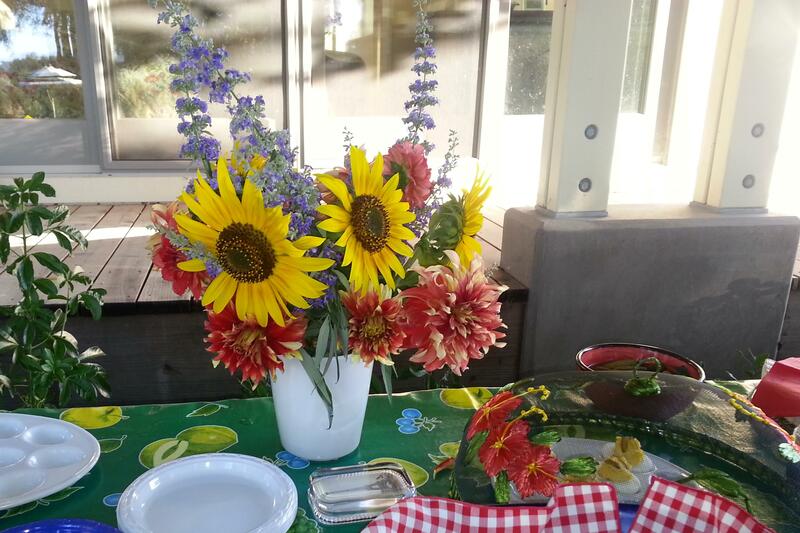 All the food was prepared by the hostess (or host), the flowers were from the garden and the landscape was picture perfect. I always aspired to recreate those photo shoots but somehow the backyard events in San Jose (or where ever I was at the time) fell a bit short of the ideal. 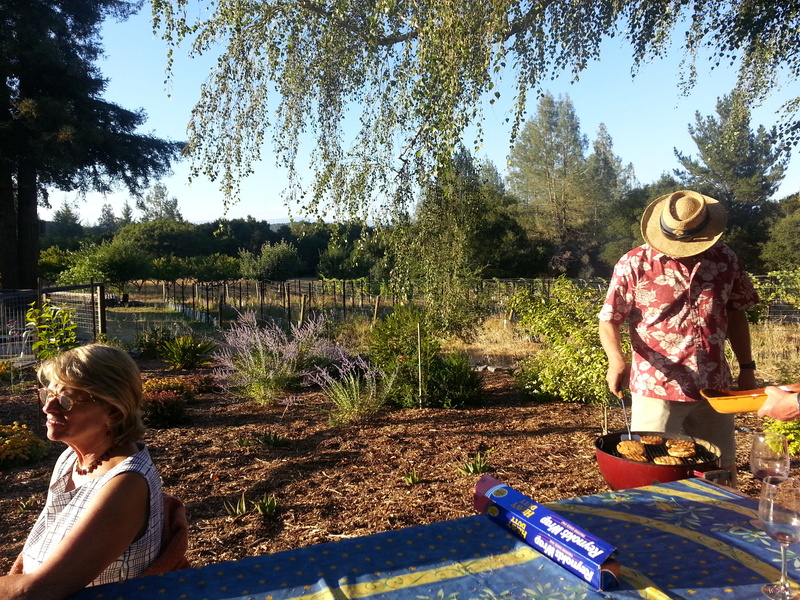 This delightful soiree was under the spreading tree among the pinot noir vines outside of Sebastopol. I met some wonderful new friends, caught up with some old ones and felt like I was in a magazine story. 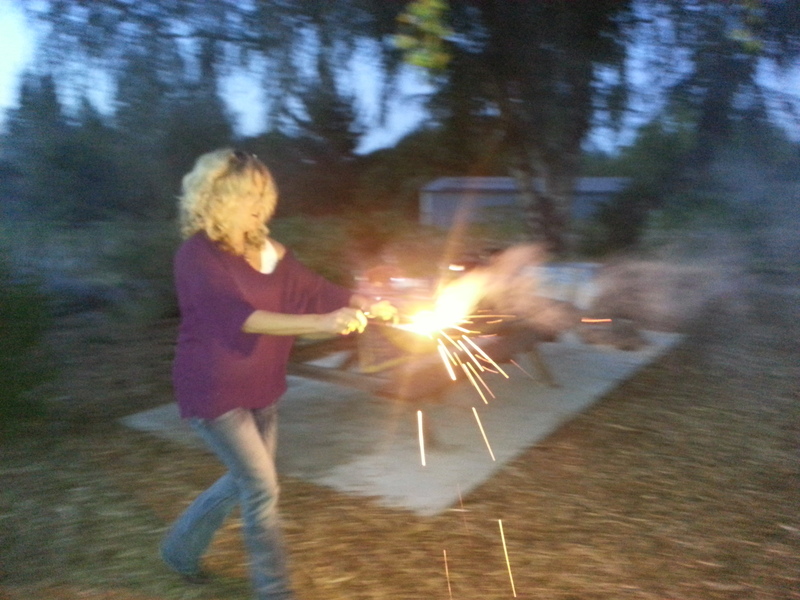 I hope that you had an equally delightful 4th of July celebration. There are some people who need an unusual name to be remembered but Jann (pronounced as Jan) Aanestad transcends the uniqueness of her moniker. She looks like the California girl and was born in San Rafael but she lived throughout the United States until she struck out on her own as a young coed at Stanford. 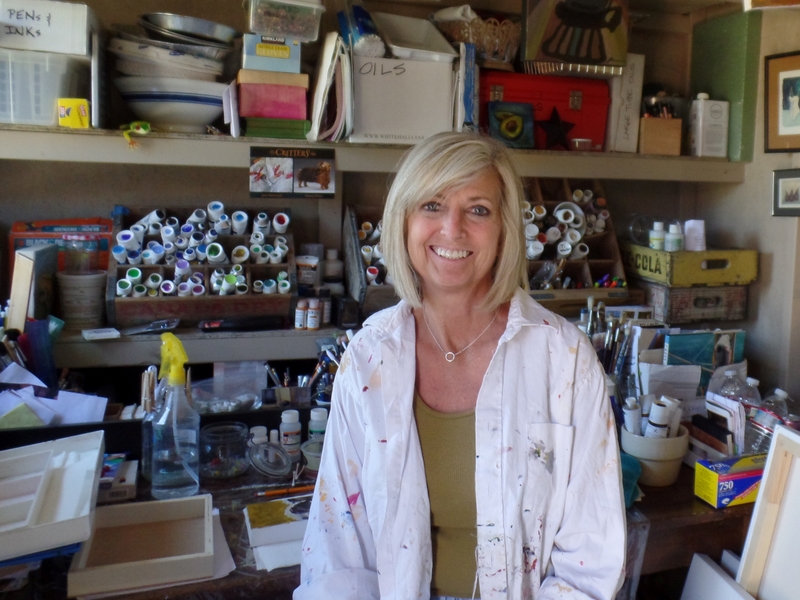 Full of life and life experiences, Jann and her husband moved to Sebastopol 25 years ago from Clifton, Virginia where they had restored a condemned farmhouse and launched Jann into a career of interior decorating. The home was featured in Better Homes and Gardens magazine in 1988. The Aanestads enjoy the occasional recognition of their past home in a current advertisement or decorating book. The decoration is a testament to Jann’s inherent talent in color and composition that has carried over into her paintings. This profile is about artists and I focus on the artist and their art. 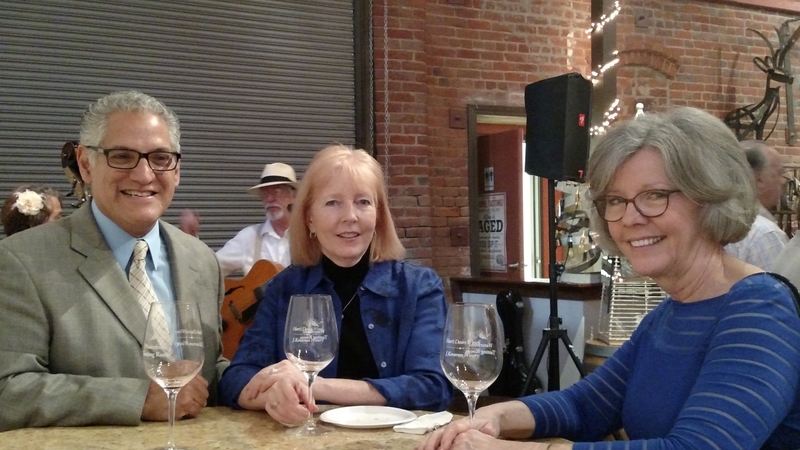 But Jann’s motivation of moving to Sebastopol because she had found relief from her symptoms of lupus from an acupuncturist who practices on Petaluma Avenue named David Walker is a compelling storyline. And one that I feel is worth discussing. Jann has been involved in many enterprises from a very early age. Her energy and vitality – along with exceptional intellect – catapulted her into startups ranging from high tech to antique dealer. But at one point she could hardly get out of bed and was eventually confined to a wheelchair due to the debilitating effects of lupus. Lupus is a disease that saps the energy from even those who seem to be tireless. Times of normalcy are unpredictably interrupted by flairups (the common lupus terminology) of fatigue and pain. This is a difficult condition that does not allow consistent activity or employment. The Aanestads relocated to Sonoma County because of the relatively mild weather that is advantageous and to be near treatment. 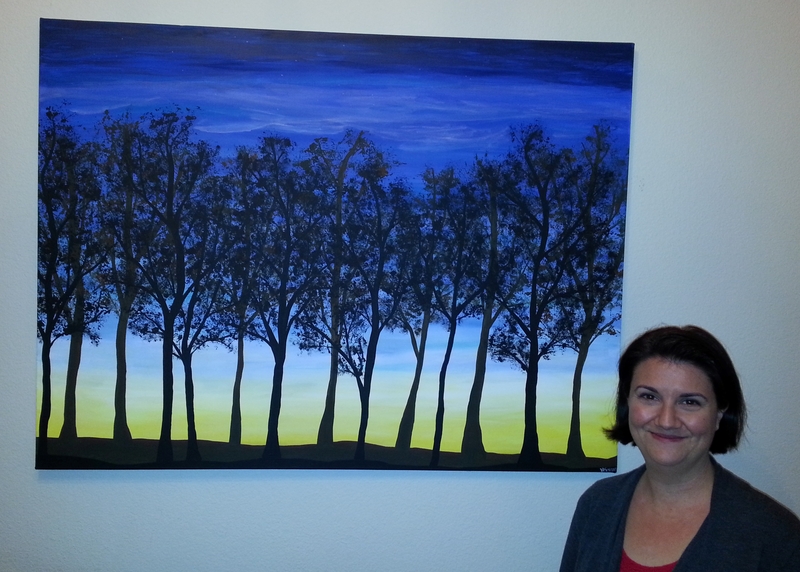 Seven years ago Jann began painting and that is what she does. In her tiny studio behind the family home on Blackney Road, Jann produces paintings of animals, buildings and still lifes. 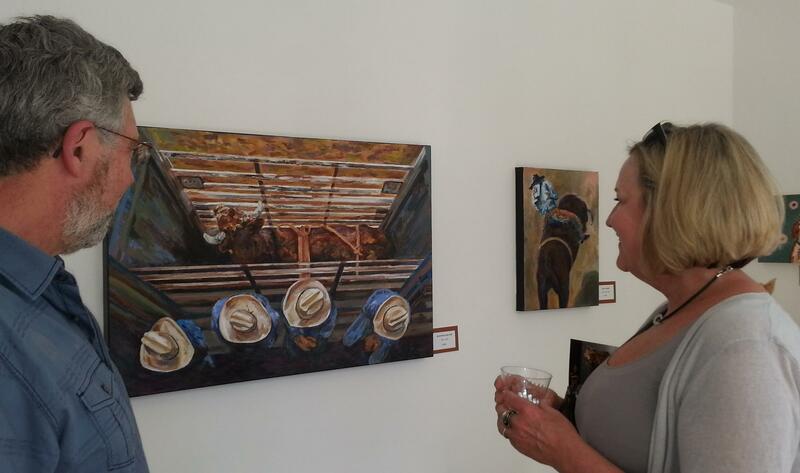 She is in preparation of her second showing at Risk Press Gallery in Sebastopol. 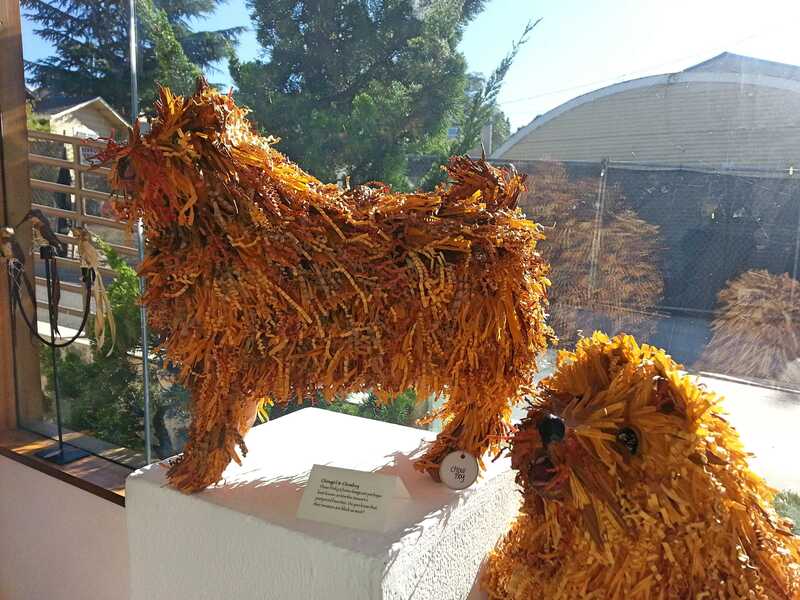 The exhibit is CRITTERS and she is sharing the limelight with Nancy Winn, paper-mache artist. The exhibit started on June 29 and continues until July 28. Jann has benefited from the inputs of local painters and seasoned collectors and others have taken note. 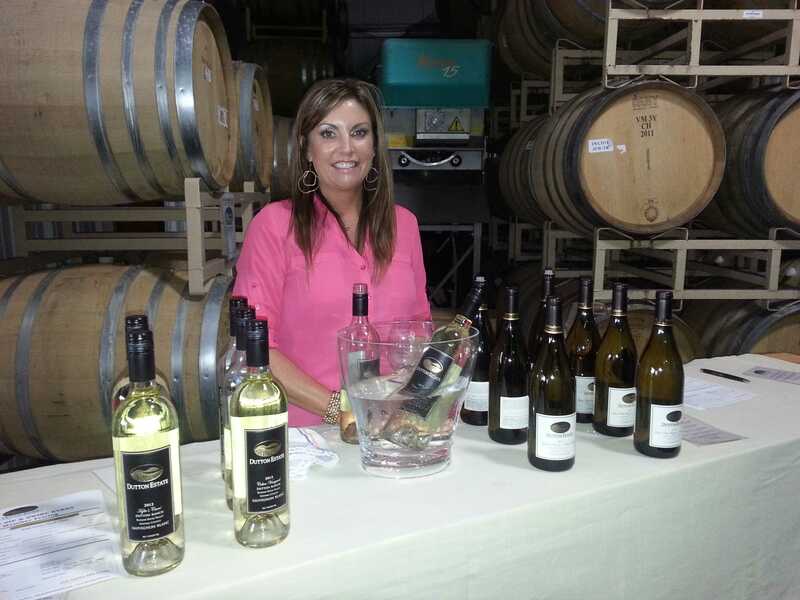 She has shown her work at Balletto Winery, Martin Ray Winery, Screamin’ Mimi’s, Corks at Russian River Vineyards, and currently at Stillwater Kitchen. 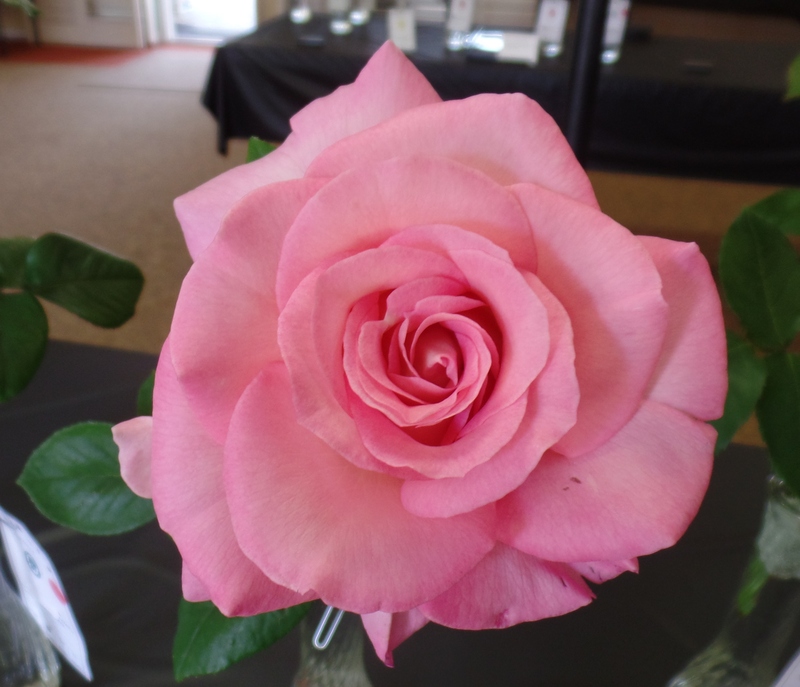 The perfect rose at the exact moment of judging is Queen of the Show. 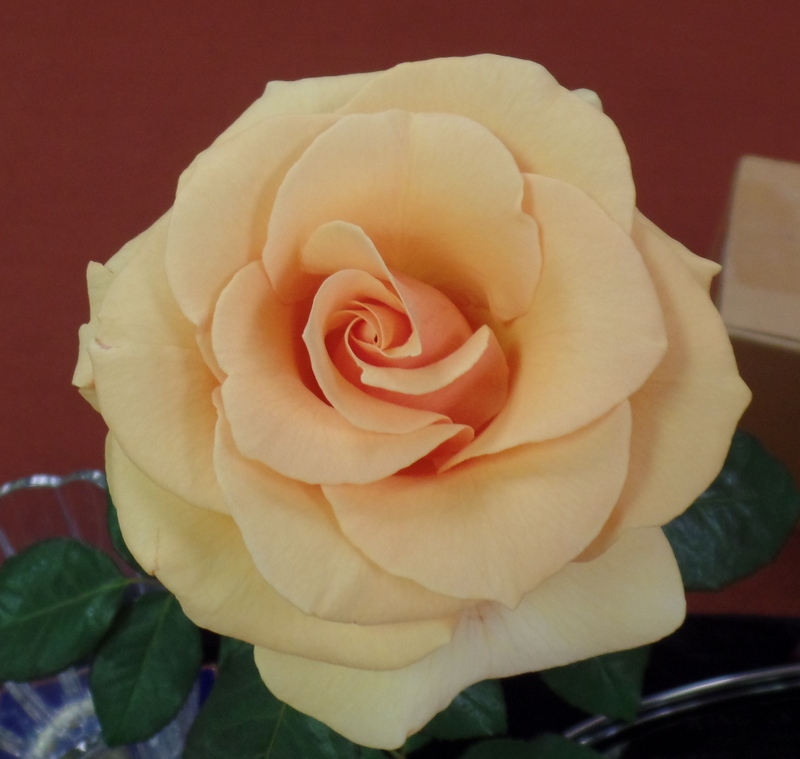 This year we doubted that we would have roses – let alone a perfect rose. But as in every year, we were shown that nature provides. This year was very special as Honora Connelly won Queen with Brandy – her very first Queen! Phyllis Saccani had to settle for Princess with Falling in Love. Nice of Phyllis to share the glory this year. No matter what the date or the weather, preparing for a Rose Show is a lot of work. There is the selection of the theme, the naming of the arrangements (yes, they are named! ), gathering of the judges and the myriad of other activities. 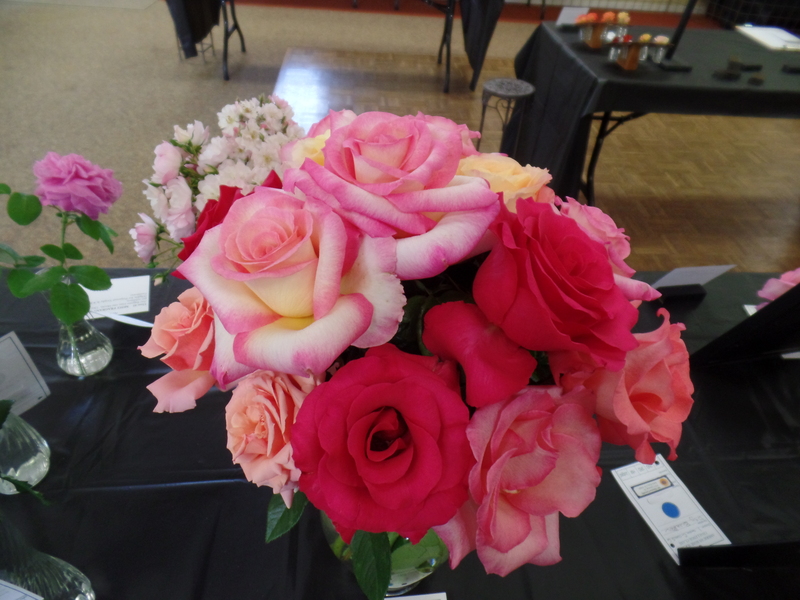 I have not had roses to enter since I left my fabulous rose garden in Forestville over 4 years ago but I do my contribution by preparing the judges luncheon. This year I decided to serve tri-tip as I know that people really like it. But I don’t know that I have ever cooked it myself. I definitely do not barbeque so I was wondering how I was going to get this done. And then there is that thing that I do not eat beef. Researching things is still a large part of my life so I began my research of either buying it prepared or cooking it in the oven. The first stop was to the grill at Fiesta Market. While they sell a great tri-tip (so I am told) each weekend, they do not prepare it in time for me to serve it at noon on Saturday. The second stop was the deli at Oliver’s Market. Same answer as the Fiesta crew. The deli worker sent me over to the meat market where the tri-tips are actually prepared. Stop three – the butcher at the meat counter. He said that the way to guarantee a tender tri-tip is to use a rub and then marinate it for as long as possible in beer. That sounded okay but a week was definitely too long to have meat in a frig. 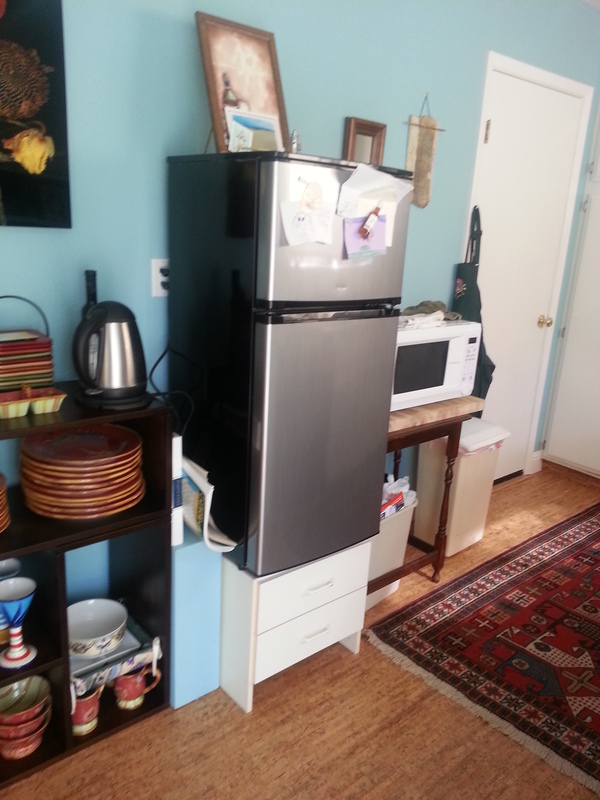 Oh, and anyone who has been to my kitchen knows that there is not room for two tri-tips in my frig. So the next stop was the meat counter at Fiesta (I do live across the street from Fiesta). The butcher basically explained that a rub for flavor and alcohol for breaking down the tissue to have a tender cut of meat. He said that I could cook them in the oven. I purchased close to 6 lbs of tri-tip and rubbed them with the steak seasoning that came with a seasoning set. I put a lot of rub on, slipped each into a gallon baggie and drove over to Phyllis’ with the steaks and a bottle of wine. Poured half a bottle of wine into each baggie and asked Phyllis to turn the meat each time she went into the frig. The morning of the Show, I let the beef come to room temperature and cooked in the oven at 350 degrees after being heated to 425 degrees. 30 minutes on one side and 15 minutes on the other and it was cooked to perfection. 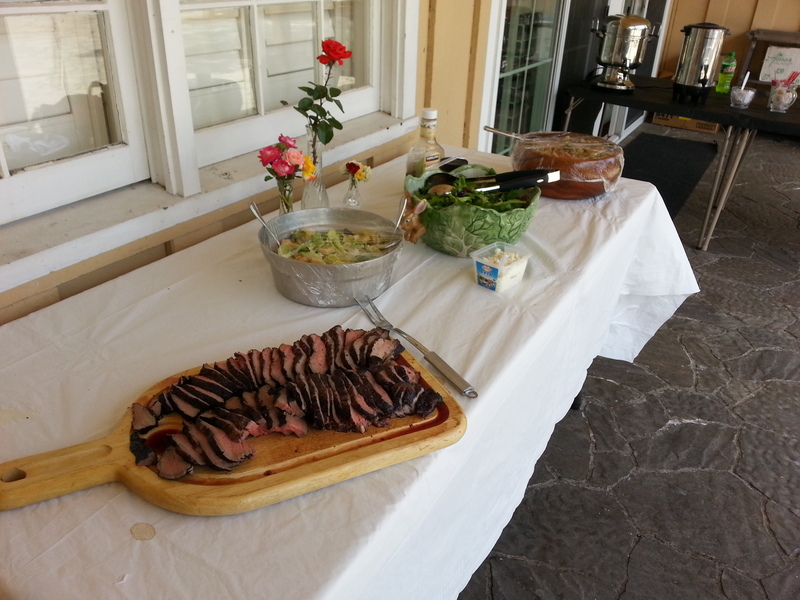 Along with the tri-tip was Caesar Salad and chicken pasta salad (for those non steak eaters – of which I was the only one!) Dessert was apple cake and vanilla ice cream. Lunch, as always, was a huge success. 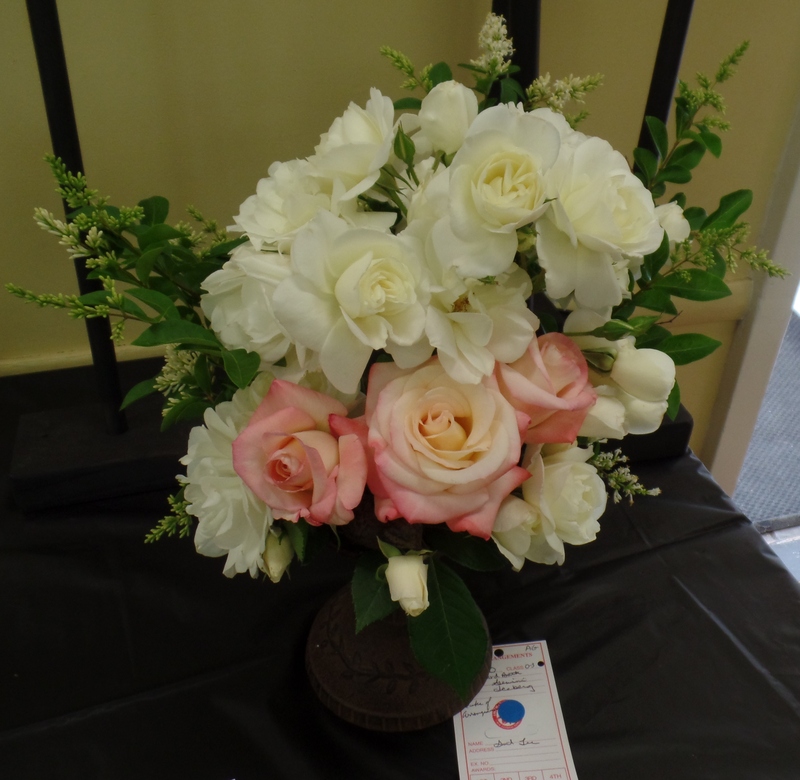 My favorite part of the rose shows are the arrangements and bouquets. Nothing is more lovely to me than a big vase of beautiful roses. 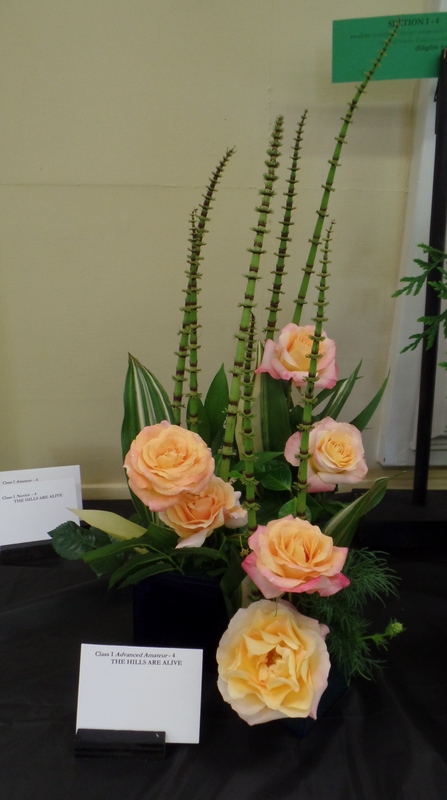 Once again, Martin Kooi won the best arrangement award. But I loved Gail Lee’s arrangement and Phyllis’ bouquet of “left over” roses. It was a great day and a beautiful show.